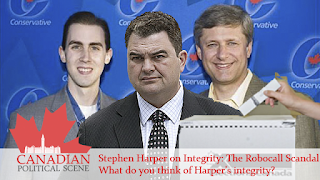 This site will soon become a redirect for the new politicalscene.ca. For all the latest from The Canadian Political Scene, head on over to the site and like us on your social network of choice! While Harper criticizes Cuba’s communist regime and human rights policies, he has meanwhile made deals with the Chinese to form a trade relationship which would see Chinese companies flock to Canada to extract oil from Alberta’s Tar Sands. Meanwhile, the United States has vetoed our oil and an American organization launched an ad campaign against the Tar Sands in the past. Environmentalists and activists are in an uproar and are consequently being slammed as radical extremists being funded by Americans. 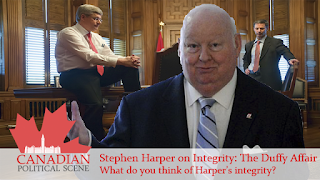 Let us not forget, however, Harper’s links to Ethical Oil and Sun Media (proponents of the project) and of the funds he received from American oil lobbyists. Environmental assessments have been cut deliberately to speed the process of the destruction and sale of the oil sands which are situated near countless green spaces which include wildlife that will become endangered and extinct with the deforestation project and various consequences of placing a pipeline between Alberta and British Columbia. Let us not forget the Oil Spill in the Gulf of Mexico when we decide to place an oil pipe in a heavily sensitive region. The oil sands are getting a negative response in Europe and Former Cuban President Fidel Castro came out publically criticizing Canada’s environmental record which The UK’s The Guardian stated was “mired in thick black tar” during the Copenhagen summit in 2009. If Canada is willing to trade with China, a country which Harper himself criticized when first taking office in 2006 for the same reasons he criticized Cuba at the last Americas summit, why does it apply this double standard, even when the two countries traded in the past during a US embargo? Follow us and leave your feedback: Facebook,Twitter,Google+. Want to join the discussion? Like, Circle, Follow The Canadian Political Scene! What started as a $90,172 claim of inappropriate expenses seen as an outrage as part of abusive senate behaviour quickly escalated to a scandal with many more questions than answers. What started as an isolated set of robocalls misdirecting voters in Guelph expanded to effect over 50 ridings as irregularities happened during the 2011 election campaign that gave the Conservatives their coveted majority. Julian is the author of two political sites and one site based on tech. Controversy is his middle name and he will sometimes bend his own views to create awareness for causes or try to provoke discussion in The Canadian Political Scene. You can contact him through his Google+ page or his email or the TCPS main email. Be sure to follow him on Twitter: @JulianCWolfe as well as the official twitter account for all political discussions: @CPoliticalScene. Tories Got Republican Helping Hand Last May?